I love sushi and would eat it for every meal if I could, The only thing I am not so keen on is the processed white rice that is in it. I think this alternative makes it taste even yummier although beware it can fall apart easier when you cut it! Amaranth and Quinoa are both ancient grains packed full of essential amino acids and powerful protein. The crispy tofu makes for a fantastic crunch but can easily be omitted or swapped for tempeh. Preheat oven to 180 Celsius. Slice tofu into long strips. In a shallow bowl mix all other ingredients. The mixture should resemble a thick sauce, add a few tbsp of water if necessary. On a plate sprinkle both colours of sesame seeds. Dip tofu in tahini sauce and then roll in sesame seeds, place on lined baking tray and bake for 20-25 until crisp and golden. In a pot over medium heat bring barley, quinoa and amaranth to boil with the water, lower heat and simmer for 20 min, you may need to add more water if it starts to boil dry. Remove from heat and stir through rice wine vinegar and maple syrup and allow to cool. Thinly slice your chosen veges in long strips. 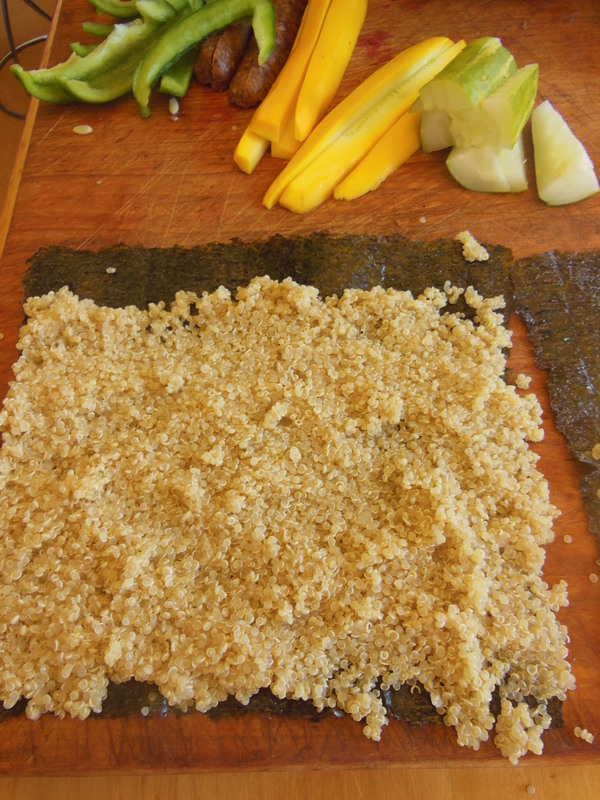 Place nori sheet shiny side down and cover with 1/2 cm layer of cooked grain mix, leaving a 2 cm strip free at top of nori, make sure you press mixture right out to sides and that its evenly distributed. Place strips of veges and tofu length wise in middle of sheet. 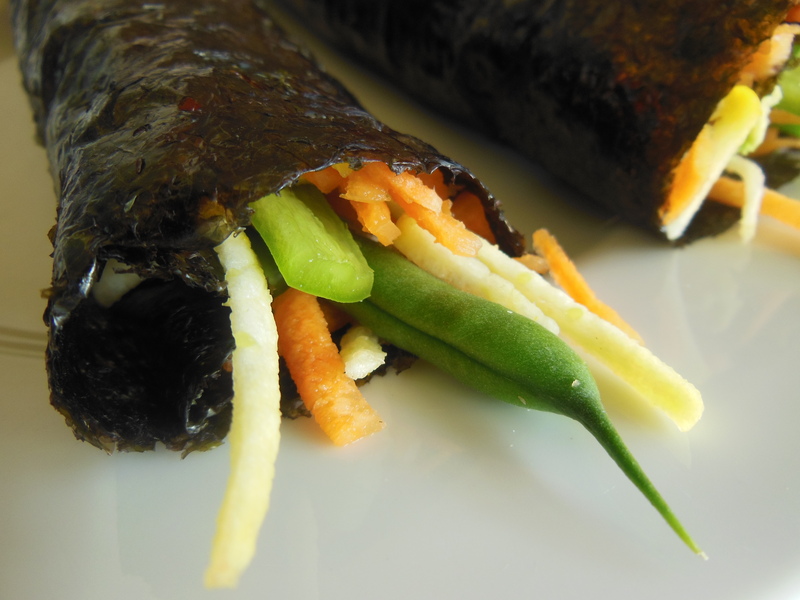 Roll up like your rolling a yoga mat and then use a couple of drops of water to help you seal down the end of the nori to the roll. Cut into large rounds with a sharp knife and serve with tamari, wasabi and ginger.